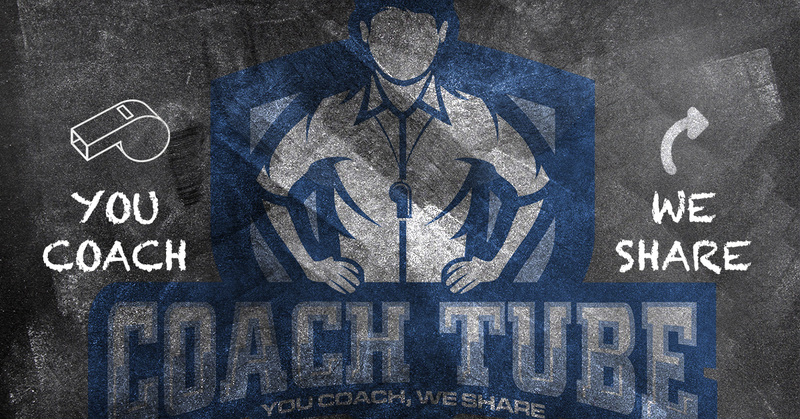 BASKETBALL Coaching, Statistics, Videos & Couses BLOG. 02:49:50 pm	 eBA Stats enter into a momentary recess! eBA Stats entra en un receso momentáneo ! • Hello There ! Sorry ! • Hola por Ahí! ! Lo Siento ! justamente ahora recibo una inesperada e indeseable invitación a un "viaje-de-placer" a un... hospital! Todo esta bien ahora! Muchas Gracias y nuevamente mis disculpas ! Por ESAS razones, entramos en un no-programado e involuntario receso momentáneo ! Ya estaremos de vuelta ! PD: Estamos trabajando muy duramente para recuperar todo lo posible de nuestros años de trabajo con Google + ! right now I receive an unexpected and unwanted invitation to a "pleasure trip" to a ... hospital! Everything is well now! Thank you and again my apologies! For THOSE reasons, we enter into an unprogrammed and involuntary momentary recess! PS: We are working very hard to recover as much as possible of our years of work with Google +! Esta colección vídeos y cursos de Entrenamiento del Baloncesto ( ubicada siempre como la segunda publicación en este blog! ) es parte del Grupo eBA de Sitios Web del Baloncesto (ver los Sitios Web del Grupo eBA en el Portal eBA columna derecha) dedicado a la investigación y el análisis de las estadísticas y los medios de entrenamiento del baloncesto moderno. Ya estás al día? Saltear las listas e ir drectamente a leer la próxima publicación de este Blog eBA! eBA Portal right column) dedicated to the research and analysis of statistics and means of modern basketball training. Are you still up to date? Skip the lists and go directly to read the next publication in this eBA Blog! 1st. Section: 'eBa sketball Training Courses & Videos' BY THEMATICS! 2nd. Section: 'eBa sketball Training Courses & Videos' BY AUTHORS! 3rd. Section: 'eBa sketball Training Courses & Videos' BY TITLES! • Are you still up to date? Skip the lists and go directly to read the next publication in this eBA Blog! says "I am the greatest, player of them all"
puts his bat on his shoulder, and tosses up his ball. as the baseball falls, to the ground. Says "I am the greatest, there has ever been,"
and he grits his teeth, and tries it again. He just closes his eyes, and listens to the cheers. says "I am the greatest, the game is on the line,"
and he gives his all, one last time. and the baseball falls, and that's strike three. but even I didn't know, I could pitch like that." but even I didn't know, I could pitch that good." is a Series edited Regularly Every Month ! Your comments are Welcomed ! ... ! NO NEED TO REGISTER ! 05:59:55 am	 Transition Defense with Zone Principles Drill NEW TRAINING VIDEO by Jim Myers,! Ejercicio de defensa con Principios de Zona NUEVO VÍDEO de ENTRENAMIENTO, Jim Myers ! NEW TRAINING VIDEO by Jim Myers! • Players must be in a stance. • Players must have high, active hands. When guarding an offense, the defense matches the front of the offense and the on-ball defender must be able to contain for at least two dribbles. The defense is also designed to prevent ball reversal with gap help that must show early. • Help on the post.. Transition Defense with Zone Principles Drill NEW TRAINING VIDEO by Jim Myers! NUEVO VÍDEO de ENTRENAMIENTO por Jim Myers! • Los jugadores deben estar en posición de defensa. • Los jugadores deben tener manos altas y activas. • Los jugadores deben hablar. Al protegerse de un ataque, la defensa coincide con la parte frontal del ataque y el defensor sobre el balón debe poder contener al menos dos botes. La defensa también está diseñada para evitar la inversión del balón con ayuda de espacio que debe mostrarse temprano. • Cambio en todas las pantallas. • Seguir a todos los cortadores. • Ayuda en el poste ..
Field goal percentage in basketball is the ratio of field goals made to field goals attempted. Its abbreviation is FG%. Three-point field goals are included in this percentage. Instead of using scales of 0 to 100%, the scale .000 to 1.000 is commonly used. A higher field goal percentage denotes higher efficiency. In basketball, a FG% of .500 (50%) or above is considered a good percentage, although this criterion does not apply equally to all positions. Guards usually have lower FG% than forwards and centers. Field goal percentage does not completely tell the skill of a player, but a low field goal percentage can indicate a poor offensive player or a player who takes many difficult shots. The cFG% ( created Field Goal Percentage ) is a stat applied by the eBA Basketball Statistics Analysis System which has the same formula as the FG% ( click here to this topic ) except that only field goals which are unassisted and which occur at least 5 seconds after an offensive rebound are counted. The Created FG% is an attempt to measure how well a player can create his own shot without the benefit of those situations. Therefore, when we make the calculation of this statistic, assisted shots and shots from offensive rebounds are not counted. The whole fundamental of this statistics is just being discussed in the eBA 2012 Clinic's live chat. Read More at eBA Encyclopedia ONLINE, search "field goal percentage" in this blog and consult the eBA Basketball Statistics Analysis System. This topic is resumed in the eBA Basketball Statistics Analysis System and at the eBA Encyclopedia. is a Series of Notes edited Regularly Every Month ! Mirsad Turkcan: the last game of a legend ! Your comments are Welcomed ! NO NEED TO REGISTER ! "... Team is up by 3 with ball control at the end of 4th. quarter, running the clock out waiting for the defensive foul to stop the clock. Player with the ball, close defender two handed mildly pushed him and the ball-handler, trying to protect the ball, swings his elbows not in an aggressive way but in a defensive way. The referee blew the whistle and said no foul but it is a turnover against the ball-handler for "excessive swinging of the elbows". "Swinging elbows" Turnover is a real rule or an official error ? Forced or Unforced ? What is the statistics ruling according with the eBA Basketball Statistics Analysis System ? ..."
"A player shall not excessively swing his/her arms or elbows even without contacting an opponent." The rules penalty was changed to a violation from a technical foul in order to encourage it's being called more. eBA Basketball Statistical Tracking: Forced ( by the opponent's aggressive defense ) Turnover against the ball-handler and Forced Steal in favour of the close defender. See in our forums the 'basketball turnovers' topics and the exposition "Basketball Turnovers Analysis" at eBA ONLINE. All the terms in this post are widely explained at The eBA Basketball Encyclopedia. "...Is it a 'Travelling' case ? What´s the rule and how the eBA Basketball Statistics Analysis System analyze & track these plays ? ..."
is a Series of Notes edited the 2nd. Tuesday of Every Month ! Your comments are Welcomed ! just here ! 08:09:29 am	 '2-on-2 Closeout' Drill NEW TRAINING VIDEO by Brian Dutcher! Ejercicio de 'Cierre 2-contra-2' NUEVO VÍDEO de ENTRENAMIENTO por Brian Dutcher! NEW TRAINING VIDEO by Brian Dutcher! Coach Dutcher shows in this training video how to build your defense from closeouts, to weak-side positioning, post defense, double teaming, ball screen defense and more. You'll have everything you need to create a dominant defensive system! One of the most important aspects of a great defense is the closeout. Coach Dutcher shows three drills to teach technique and weak-side positioning through closeout drills that build from 1-on-1 to 2-on-2. The "Top and Bottom I" drill works on seeing the ball from the weak-side, helping on dribble penetration, and recovering with a good fundamental closeout in a 2-on-2 set up. '2-on-2 Closeout' Drill NEW TRAINING VIDEO by Brian Dutcher! NUEVO VÍDEO de ENTRENAMIENTO por Brian Dutcher! El Entrenador Dutcher muestra en este vídeo de entrenamiento cómo construir su defensa desde los cierres hasta el posicionamiento en el lado débil, defensa posterior, trampas y defensa de pantalla sobre el balón: todo lo que necesitas para crear un sistema defensivo dominante! Uno de los aspectos más importantes de una gran defensa es el cierre. El Entrenador Dutcher muestra tres ejercicios para enseñar técnica y posicionamiento del lado débil a través de ejercicios de cierre que se desarrollan de 1 contra 1 y 2 contra 2. El ejercicio "Arriba y Abajo I" funciona al ver el balón desde el lado débil, ayudando en la penetración del drible y recuperándose con un buen cierre fundamental en una configuración 2-en-2.
" Hope abides; therefore I abide. Countless frustrations have not cowed me. I am still alive, vibrant with life. In all its supernal glory. " You can also watch the Motivational Video in the Spanish Version of this Blog: Never Let Yourself Down ! Your comments are Welcomed ! ... by means of eBA InterMail English or just here ! The first key to individual defense is to get into a good defensive stance. The Stance and Slides drill teaches how to get into a good stance and how to move correctly. This mass drill, one that involves the entire team, incorporates fundamental on-ball defense. It shows that even the best players in the country don't overlook learning the basics of stance. Next is the Zig-Zag drill with a twist from a traditional version of this drill. Each on-ball defender will go through two rounds by guarding the ball to the half-court line. When the first dribbler reaches the half-court line, the defender starts the second round by executing a closeout to the baseline. Containment of the dribble and forcing changes in direction are critical elements that are taught. La primera clave para la defensa individual es adoptar una buena postura defensiva. El ejercicio de posición y deslizamientos enseña cómo adoptar una buena postura y cómo moverse correctamente. Este ejercicio masivo, que involucra a todo el equipo, incorpora una defensa fundamental sobre el balón. Muestra que incluso los mejores jugadores del país no pasan por alto el aprendizaje de los conceptos básicos de la postura. El siguiente ejercicio es el Zig-Zag con un giro de una versión tradicional de este ejercicio. Cada defensor sobre el balón pasará dos rondas marcando sobre el balón en la línea de media cancha. Cuando el primer driblador alcanza la línea de media cancha, el defensor comienza la segunda ronda ejecutando un cierre hacia la línea de base. La contención del dribble y los cambios forzados en la dirección son elementos críticos que se enseñan. "... Which is the statistical register when a defender forces an offensive player into a held ball ( also known as 'jump ball' ) situation ? ..."
If your team loses possession of the ball as the result of a held ball, a ball turnover must be charged. The turnover is charged to the person who last has possession of the ball. We have a turnover when your team has the ball, and you lose it to the other team. A turnover can come in the form of a stolen pass, a pass that you throw out of bounds, it can be where they steal the ball away from your dribbler, it can be where you have a player stand in the paint for over three seconds, etc., etc, etc. When the turnover does occurs or when a bad shot is forced during an ON BALL screen situation, that's means there is a direct influence of an opponent action: the eBA Basketball Statistics Analysis System refers to it as a FORCED TURNOVER. When the turnover does occur WITHOUT any opponent influence or interference: a bad pass you YOURSELF throw out of bounds, we call it an UNFORCED TURNOVER. The value of the turnover, doesn't vary in our metric, being the same for both types, but the eBA System report give to the coach the total quantity and percentages of Forced and Unforced Turnovers by separate, leading so to a deeper analysis of our possessions. See in our forums the 'basketball held ball' topics and the exposition "Basketball Possessions Statistical Analysis" at eBA ONLINE. Mid-season survey of EuroLeague general managers ! Your comments are Welcomed ! ... just here !